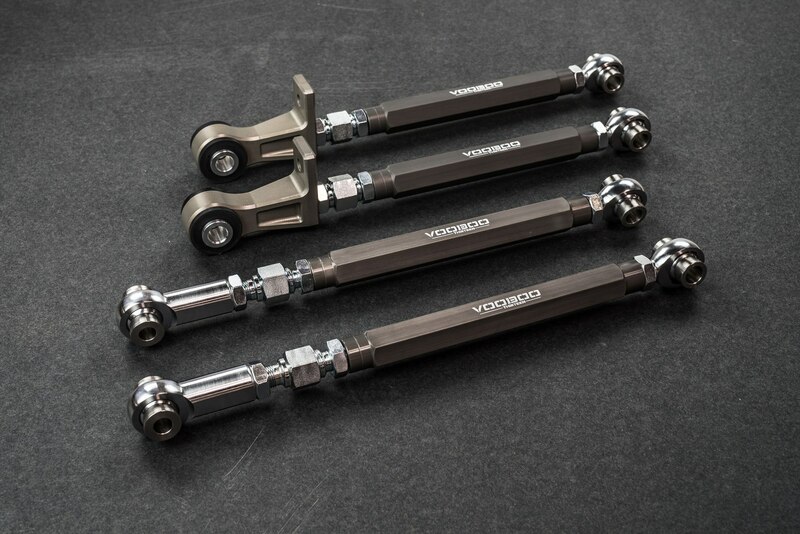 Voodoo13 04-07 Subaru WRX STI lateral links are designed and engineered for increased handling and response over the factory arms by increasing rigidity and reducing deflection. Precision CNC machined body from high strength aerospace grade 6061-T6 aluminum coated in MIL-A-8625 Type III Hard Anodize, CNC’d chromoly hardened steel adjuster, and stainless steel CNC’d machined spacers are used to ensure they will withstand abuse from street cars and track cars. 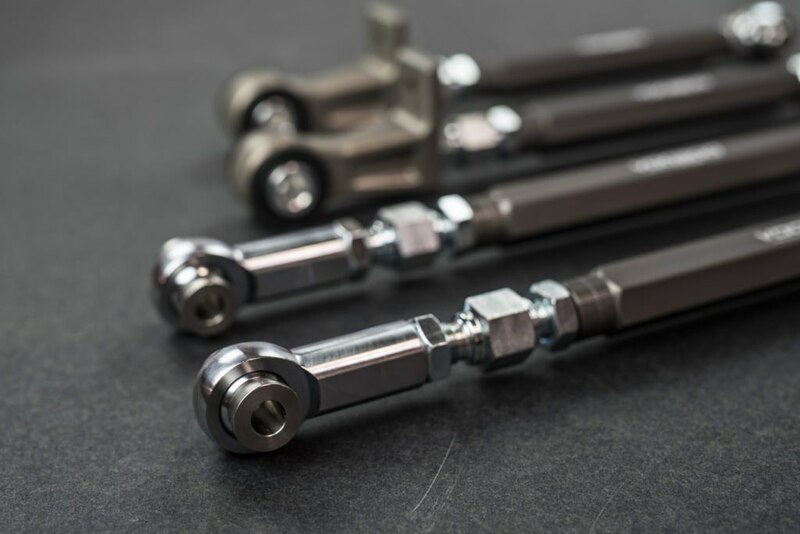 Our placement of the 4140 heat treated steel dual adjusters and female rod ends make for quick and easy adjustment. 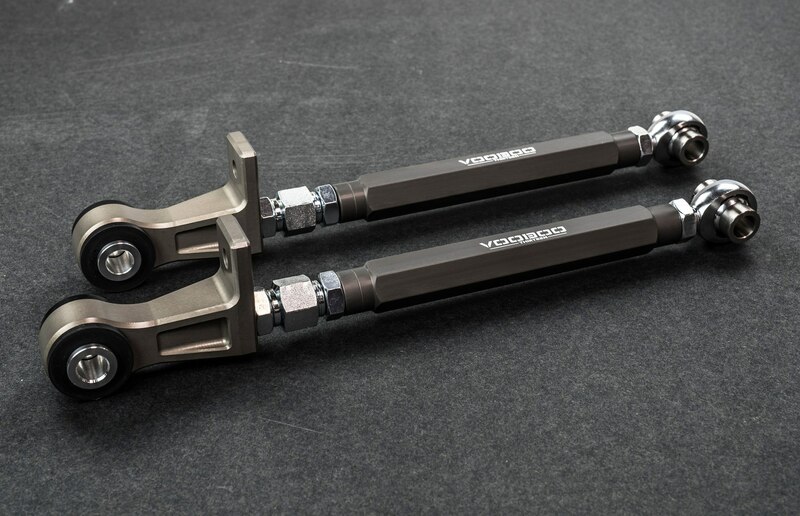 Note: Can fit 2002-2007 WRX by converting to STI sway bar assembly. Will not fit auto leveling HID models.